I got hip to this stylist via Fly and was blown away. Her styles for natural hair are so artistic, original, and dope. Angela was kind enough to let me feauture some pics of her work with. 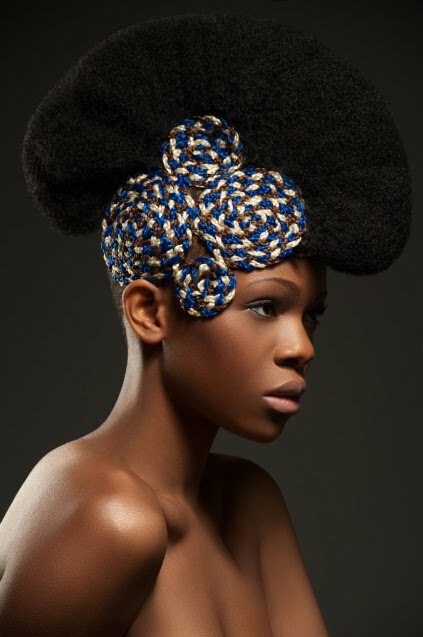 For real, don't you just luv the versatility of our natural hair? It's positively, mind blowing and I wouldn't have it any other way. Whoa. I have one of her pics saved on my hard drive. I found the top pic while surfing Tumblr! Thanks for posting on Angela, because I was definitely curious as to the origins and the story behind the picture! - I agree, I love the versatility of our hair! The possibilities are endless!